Indian cricket team skipper, Virat Kohli after his incredible performance against South Africa is now again in headlines. This time the skipper is not in news for his performance but for his bhangra that he did at his friend's wedding function. A vide is getting viral on the social media, in which the cricketer spotted by performing the dance on one of the Bollywood's famous song 'Kajra Re' from Bunty Aur Babli. 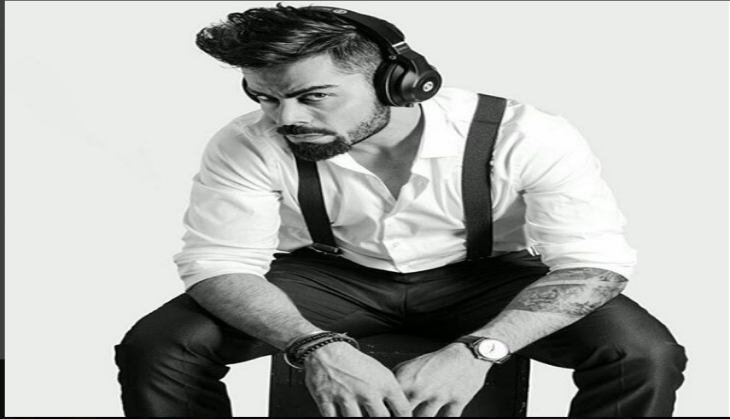 The Punjabi Munda Virat always surprised his fans by his dance performance including his performance on the field. His dance video has been posted on his fan page in which Virat has been accompanied by Shikhar Dhawan to set the floor on fire. Virat's wife Anushka's parents were also seeing at the function while the actress was busy in shooting for her upcoming project that's why she was not in the function. Recently, on Saturday, Kohli has been spotted in Mumbai's tattoo parlour. And finally, he revealed his another tattoo's pictures on social media.